In a suspense thriller to rival Paula Hawkins and Tana French, a detective with secrets of her own hunts the killer of a woman who was the glamorous star of their high school. Rosalind’s secrets didn’t die with her. The lead homicide investigator in a rural town, Detective Sergeant Gemma Woodstock is deeply unnerved when a high school classmate is found strangled, her body floating in a lake. And not just any classmate, but Rosalind Ryan, whose beauty and inscrutability exerted a magnetic pull on Smithson High School, first during Rosalind’s student years and then again when she returned to teach drama. As much as Rosalind’s life was a mystery to Gemma when they were students together, her death presents even more of a puzzle. What made Rosalind quit her teaching job in Sydney and return to her hometown? Why did she live in a small, run-down apartment when her father was one of the town’s richest men? And despite her many admirers, did anyone in the town truly know her? Rosalind’s enigmas frustrate and obsess Gemma, who has her own dangerous secrets — an affair with her colleague and past tragedies that may not stay in the past. 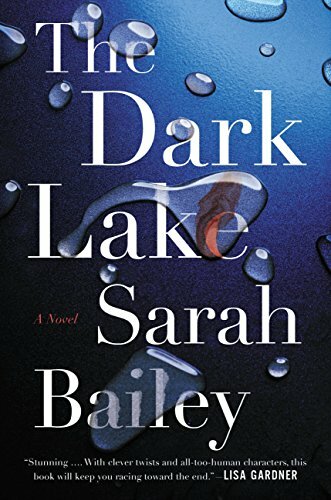 Brilliantly rendered, THE DARK LAKE has characters as compelling and mysteries as layered as the best thrillers from Gillian Flynn and Sophie Hannah. with her two young sons. She has a degree in journalism and has a career in advertising. She is currently a creative partner at creative agency, Mr Smith. THE DARK LAKE is her first novel. 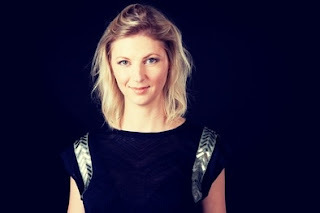 Discover more about Sarah and her writing on her website and connect with her on Facebook and Twitter.